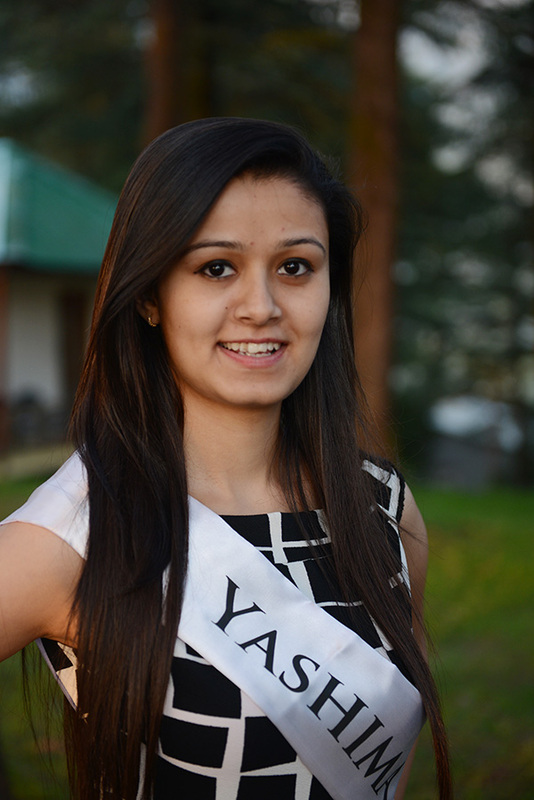 Yashima Patel is from Dharamshala, Himachal Pradesh. Her hobbies are dancing and singing, and she speaks English and Hindi. Yashima is a student with a Bachelors in Pharmacy. She was born on 20 April 1997, and is 165 cm tall. My main motive is "Women Empowerment" — not only in the field of modelling but in every aspect, as our small efforts can lead to a big difference. I want to be a role model for all the women out there. The Himalayas are one of the wonders of nature with high snow-clad mountains and scenic beauty, They carry various cultures and traditions, and the people living in the Himalayas are basically peace-loving. They are famous for their simplicity and helpful nature. The people in the Himalayas are totally respectful towards the environment they live in. Himalayan people are also known for their rich traditional knowledge. The Himalayan people diversity showcase in different ways like architecture, languages, beliefs, and rituals as well as way of clothing. The environment of the Himalayas is really soothing i.e the fresh air we breathe in, but there are also some environmental impact of tourism on Himalayas. It is important for the travellers to be careful and responsible They should not spoil the environment and try to conserve it in a planned manner. So at last i want to say that its the best place we live in, so we should use the resources in a sustained manner. Government should take some responsibility for maintaining the ecological balance. "Save Energy, Save the environment Beauty"
So Empower Women, Empower the whole nation.